The Silurian (named after a Welsh tribe) is a surprisingly attractive touring car from the 1970s. I say “surprisingly” because most replica makes from the 1970s all look a little off. 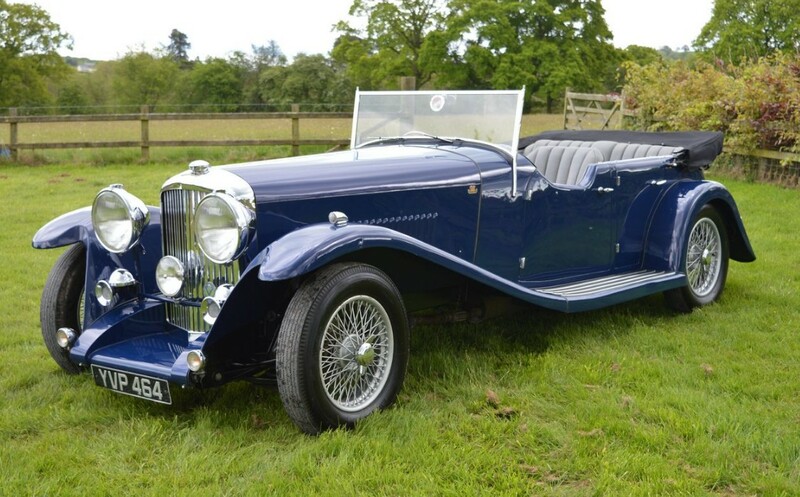 This car looks believably 1930s – if you didn’t know better, you’d be forgiven for mistaking it for an actual Lagonda or Bentley. It was built from scratch by a master restorer. The chassis is an original (an impressive feat on its own), but the suspension is from a period Jaguar XJ6 as is the 3.4-liter straight-six making 210 horsepower and most of the running gear. The car actually has four-doors, even though at first glance it looks like a 2+2 two-door. It is very nicely done. It’s a one-off car (complete with its own unique badging) and would be a head turner wherever it goes. It’s fantastic to see that in an age where tribute cars and replicas all look sort of bulky and wrong, that someone was able to nail it. It is expected to sell for between $35,000-$45,000. Click here for more info and here for more from this sale. This entry was posted in Uncategorized and tagged 1978, auctions, brightwells, cars, classic cars, silurian, tourer by classiccarweekly. Bookmark the permalink.